Please follow our Facebook page to see weekly updates on our dogs that have been adopted each week. Longer updates from adoptive families are below. Do you have a Rural Dog alumnus? Share your story with us! Oct. 2018: Dean was rescued from rural North Carolina as a stray. Soon after his adoption from RDR, he enjoyed attending trick-or-treating at Petsmart. His family says: “He's such a sweet soul and a joy to have around. We are very happy with him!" Dec. 2017: Ellie was surrendered to RDR when her owner could no longer care for her. 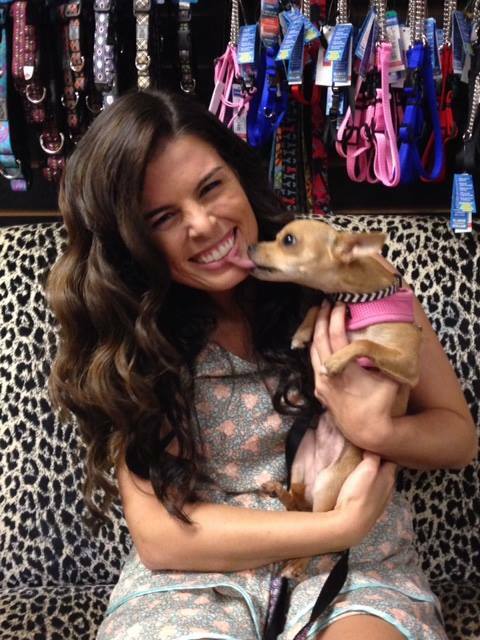 Soon after being adopted, she began attending obedience and agility classes with her new family. She passed the Canine Good Citizen test with flying colors! Oct. 2016: Aila recently received her new bionic paw and is getting used to using it. She loves riding in her family’s mini cooper and enjoys sitting in the front seat as a copilot. Phoebe, a pregnant hound, was rescued out of a rural North Carolina shelter. While under the care of RDR, she gave birth to eight healthy puppies. As for her puppies: all eight were adopted and their new owners regularly meet up for playdates in DC! As you can see, Nutmeg is doing extremely well and she is enjoying a new orthopedic foam bed. Nutmeg has learned to give high five, she can shake, she jumps into the tub for her bath on command, and she can say please. It's amazing how motivated she is when a bone or meal time is the reward! Nutmeg loves to go camping and hiking as well. Life is good for us all! Here are MORE of our happy tales!